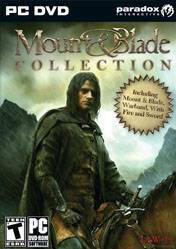 The Mount and Blade series comes with this complete edition includes all titles and releases. Massive medieval battles, open sandbox worlds and three extensive campaigns are the pillars that have made great this game. This complete edition includes the original Mount & Blade, which is the base game. The Mount & Blade: Warband, which is the first expansion of the title where we lead our own faction and engage in multiplayer battles with up to 64 players. And Mount & Blade: With Fire and Sword, with which we can master the firearms. Crush your enemies in huge battlefield that brings the Mount and Blade series. There are no comments yet about Mount and Blade Collection . You can be the first one!